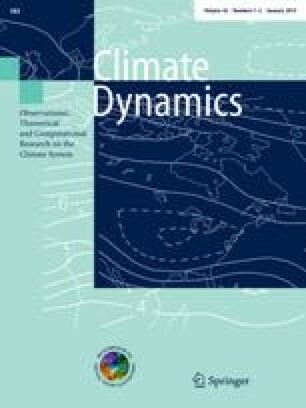 In this study, the impact of the ocean–atmosphere coupling on the atmospheric mean state over the Indian Ocean and the Indian Summer Monsoon (ISM) is examined in the framework of the SINTEX-F2 coupled model through forced and coupled control simulations and several sensitivity coupled experiments. During boreal winter and spring, most of the Indian Ocean biases are common in forced and coupled simulations, suggesting that the errors originate from the atmospheric model, especially a dry islands bias in the Maritime Continent. During boreal summer, the air-sea coupling decreases the ISM rainfall over South India and the monsoon strength to realistic amplitude, but at the expense of important degradations of the rainfall and Sea Surface Temperature (SST) mean states in the Indian Ocean. Strong SST biases of opposite sign are observed over the western (WIO) and eastern (EIO) tropical Indian Ocean. Rainfall amounts over the ocean (land) are systematically higher (lower) in the northern hemisphere and the south equatorial Indian Ocean rainfall band is missing in the control coupled simulation. During boreal fall, positive dipole-like errors emerge in the mean state of the coupled model, with warm and wet (cold and dry) biases in the WIO (EIO), suggesting again a significant impact of the SST errors. The exact contributions and the distinct roles of these SST errors in the seasonal mean atmospheric state of the coupled model have been further assessed with two sensitivity coupled experiments, in which the SST biases are replaced by observed climatology either in the WIO (warm bias) or EIO (cold bias). The correction of the WIO warm bias leads to a global decrease of rainfall in the monsoon region, which confirms that the WIO is an important source of moisture for the ISM. On the other hand, the correction of the EIO cold bias leads to a global improvement of precipitation and circulation mean state during summer and fall. Nevertheless, all these improvements due to SST corrections seem drastically limited by the atmosphere intrinsic biases, including prominently the unimodal oceanic position of the ITCZ (Inter Tropical Convergence Zone) during summer and the enhanced westward wind stress along the equator during fall. A part of this research was supported by the Japan Science and Technology Agency/Japan International Cooperation Agency through the Science and Technology Research Partnership for Sustainable Development (SATREPS). This work was performed using HPC resources from GENCI-IDRIS (Grant 2012-x2012016895).